Time to continue my year end round ups with my favorite movies list. Today, I’m not only judging movies that I watched that opened last year, but ALL movies I watched for the first time in 2015. I’ll start off with a list of my favorite movies that were released in 2015 and I’ll finish up with movies that were released in other years but I only saw for the first time last year. I may even throw in some honorable mentions as I love to do. So, without further ado, here are my favorite movies I saw in 2015. In no particular order. Kingsman: The Secret Service – Wow, what a great movie. I love Colin Firth and Michael Caine. I’m ambivalent about Sam Jackson because I’m somewhat tired of him being “Sam Jackson” in every movie. But the concept of this movie intrigued me so I saw it and I love it. Firth is amazing and Sam Jackson actually mixes it up a little and becomes a very interesting villain. I really enjoyed this movie. 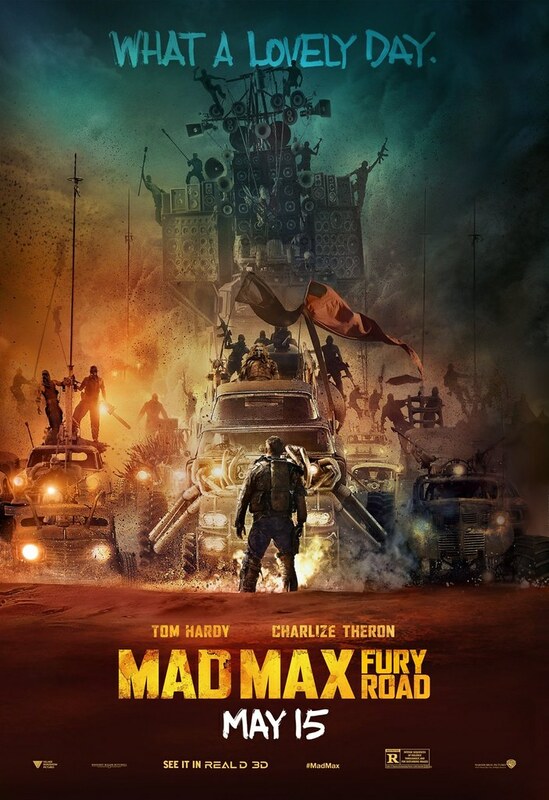 Mad Max: Fury Road – So, Nerd Lunch and Cult Film Club did our Mad Max drilldown last year. I finally watched all the original Mel Gibson Mad Max movies for the first time for that podcast. I enjoyed them more than I was expecting. Then, I went to see this in the theater and it BLEW MY DAMN MIND HOW AWESOME A MOVIE COULD BE. I’d be hard pressed to pick my favorite movie this year, but this would definitely be in the running. Balls out action, insanely detailed characters and world building. Just amazing. The Hateful Eight – I like pretty much everything Quentin does. There are some lows for me, but it’s mostly up. I loved Django Unchained and I was excited to see Quentin return to westerns for his next movie. This is a much more mean spirited film than Django, but it’s every bit as good. Sam Jackson, my boy Walton Goggins, Jennifer Jason Leigh, Bruce Dern. All of them are awesome in this. So, so good. I want to see it again right now. Creed (Blu-ray + DVD + UV) – I’m a fan of most of the Rocky movies. My personal favorite is probably Rocky 3, but I generally like all of them. So I was a little excited to see how this turned out and holy crap it’s f**king amazing. This is a phenomenal movie. It sort of blends the first movie with the third movie. Michael B Jordan is awesome and Sly has never been better. I was sobbing like a baby at the end. Star Wars: The Force Awakens – Yep, here it is. In my favorites of the year. While not a perfect movie I really did enjoy it. Yes, there are haters. And yes, I do have some story issues, but this felt like a Star Wars movie. I was excited by the action. I was laughing at the humor. I actually liked the dialogue and the characters that said the dialogue. So much fun and I can’t wait to take my 5 year old son to see this movie.